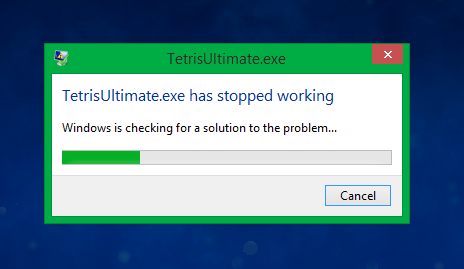 Just a place to post your thoughts about the PC release for Tetris Ultimate. This about sums it up for me. We all know its not very good. I had no hopes of this being good. But as usual, once it was out, my curiosity got the best of me. I DID research Steams policy on refunds before purchasing. That was the only reason I did purchase it. I hope that a lot of users go for a refund with this. Whilst I know it's a long shot, maybe that would get the message through to Ubisoft. Or possibly get Steam to get on Ubisoft about it. Normally, I would say that the likelihood of that happening would be low, but if it crashes for enough people, there might be a small chance. I DID research Steams policy on refunds before purchasing. That was the only reason I did purchase it. I stopped playing after 2 hours for this very reason. I'll keep the game if they commit to a PC patch but if there is 0 news from Ubisoft about it into 2016, it is getting refunded. Figured I'd add the controller and keyboard mappings so that people can see them here. They can be found in the game under the tutorial sections in the extras menu. I'm using these settings for AutoHotkey. 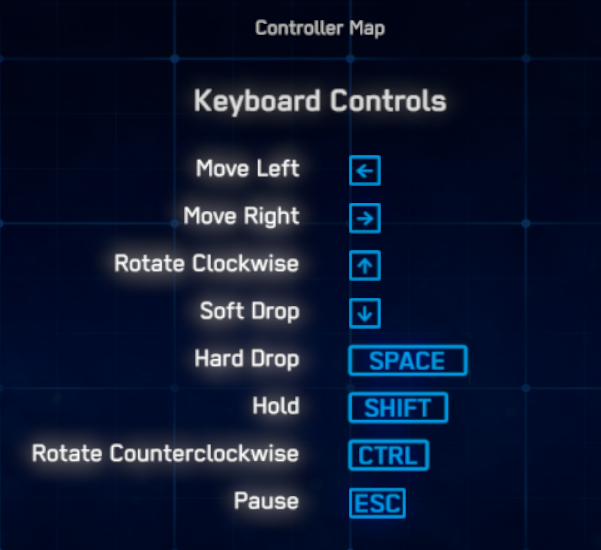 This maps movement, hard and soft drop to wsad, rotates and hold to the numpad. I had issues with the numpad doing hold and rotate before I added redundant entries for numlock being on or off. Don't know if this is normal when using the numpad or not, I don't do too much gaming on the pc and don't use AHK that often. My thoughts of Tetris Ultimate is:there's too much line clear delay, the tuning is slow, and you only got four previews instead of five or six. On top of all this it lags a lot and doesn't run smoothly. It's running smoothly for me. Was surprised. when i saw your screenshot, i thought this will be a thread of TU crash on everyone's pc collection. though sorry i didn't try it at all because i don't think my laptop can handle ubi-hard graphics. Strategy is more important than ever. Speed is limited by slower maximum DAS and line clear delay, and messy garbage makes timing more critical than even on Tetris DS. Those combined with lack of combo blocking means we should be seeing some pretty new strategies soon. Overall I like the gameplay itself. Don't have it yet... and at this point, I'm seriously debating if it's even worth wasting the money on. That said, I do have thoughts. I know that the game was beta tested, so to me I would think that the ones who did test it would have spoke up about certain issues (game crashing, key binding). But, the fact that these things existed in the final release tells me that the development team obviously didn't listen to the beta testers much, if at all, and Ubisoft likely just wanted to release the game and wash their hands of the project for good. Considering the console versions of the game are also buggy, and Ubisoft did nothing to fix those issues really, it comes as no surprise that the PC version is also bad. I think Ubisoft planned from the beginning to rush the game to market for a quick cash in and didn't plan to devote anymore time to the project past release, because they knew it would sell to casuals regardless. I also think that they flat out forgot they were even working on the PC version until recently, hence the rush to market for that, also for a quick buck during the holiday season. I honestly believe that the company just wants to be done with it, and now that the PC version of it is out, they will move past it completely. It's not one of their main series, and they basically only own the licence to make some extra cash off of it. I don't see them patching anything on the PC version aside from, maybe, some of the crash issues. Other then that, if we want any improvements to the game, they may have to be mods. If Ubisoft believes they won't gain anything more from fixing the game, then they likely won't. Honestly if anyone is considering buying the game, I would wait for the Xmas sale, it will definitely be discounted. It's really a shame there're so many problems, because I really enjoy this aspect of the game as well. The multiplayer rules are solid and encourage diverse and strategic play. 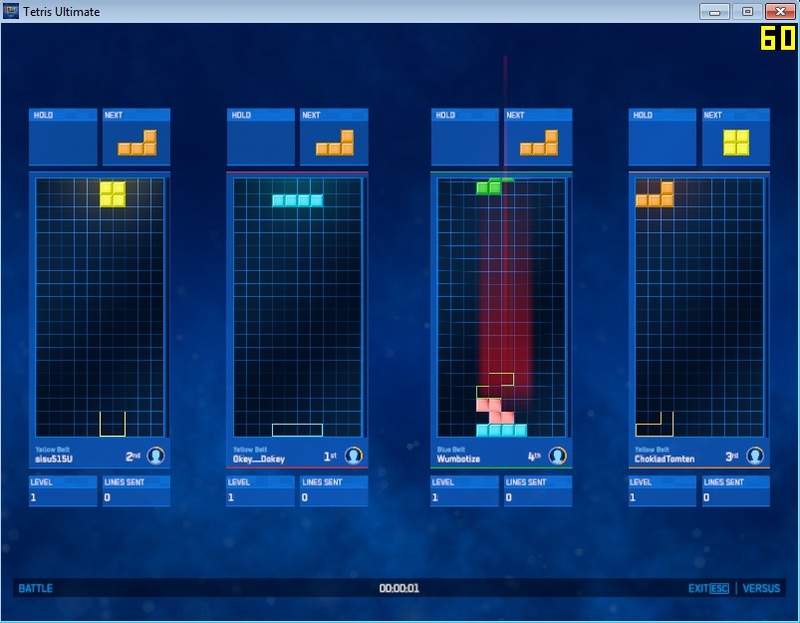 That's something multiplayer Tetris sorely needs right now. People have told me (and I tend to agree) that TF style is starting to feel stale and... just not that fun. It's really too bad they screwed this title up so much, and TF is still the only playable and "official" multiplayer game with a decent playerbase. I am pretty disappointed. It's playable, but it isn't a great game. My biggest complain is the high demands on your computer. The game is marketed as a game for casuals, but it won't work properly for half the people using laptops (it doesn't work on Win XP & Vista either). no key remapping: People are used too different setups plus the standard layout is not playable on some keyboards. On German (QWERTZ) and French (AZERTY) keyboards the Y key (ccw rotation) is on the top row - no way you can press it simultaneously to the other keys. On German keyboards their is an additional key between left shift (hold) and the other keys. no upgrade from the console versions (except getting rid of multiplayer bugs): On multiplayer PC games (Cultris, TF, TOP, Nullpo), you can usually 1. select the room/opponents 2. chat with other players in the room 3. customize room settings as the room owner (e.g. make a 2 player room, customize randomizer, hold/no hold, combo table, number of previews). You can't do this here. too slow: The lineclear delay is too long, the autorepeat rate is not high enough. Playing Sprint is very frustrating. I needed a half hour before I finished one game without misdropping (and this was not because of lags). I had the same problem in Tetris Zone (mkay TU has a shorter autorepeat delay). Also, you can't hold and rotate during the lineclear delay. playfield arrangement in multiplayer: The arrangement looks like that of a console game, although there seems to be no local multiplayer. Usually in online multiplayer, your playfield is on the left side, and opponents' screens are smaller. This allows to play in bigger rooms and show the preview pieces on the side of the playfield. I really don't know why you know multiple next pieces in 1on1 matches but only 1 in 3+ players rooms. not enough classic Tetris support: Basically, if you want to get in the leaderboards, then play with 7-bag randomizer, hold on, super rotation system on. If you want to win in multiplayer battles, then do the same (no rule lock). Why are their options to change the settings, when the game demands to use the easiest settings competitively? game crashes: I played for hours without encountering any crashes but sometimes I got multiple crashes in a row. PS: Does anybody know how to play against certain other players in multiplayer? I have no clue of Uplay. I know this was possible in TU 3DS via communities.